Great ideas are wonderful. Taking a concept and making it available to a mass audience is also a truly tremendous accomplishment. 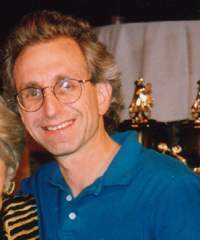 Jeff Kletsky refined the relative placement system, made it user friendly, and “hit-the-road” with it, becoming a fixture at Swing conventions on the West Coast, scoring dance events for many years. In addition to making events run more smoothly, Jeff was noted as a man who gave of himself and his knowledge to others. When Annie wanted to purchase his computer program to spread throughout the Swing dance community, his response was, “Annie, you want it, you got it!” This man was also instrumental in the development and growth of the Next Generation Swing Dance Club.